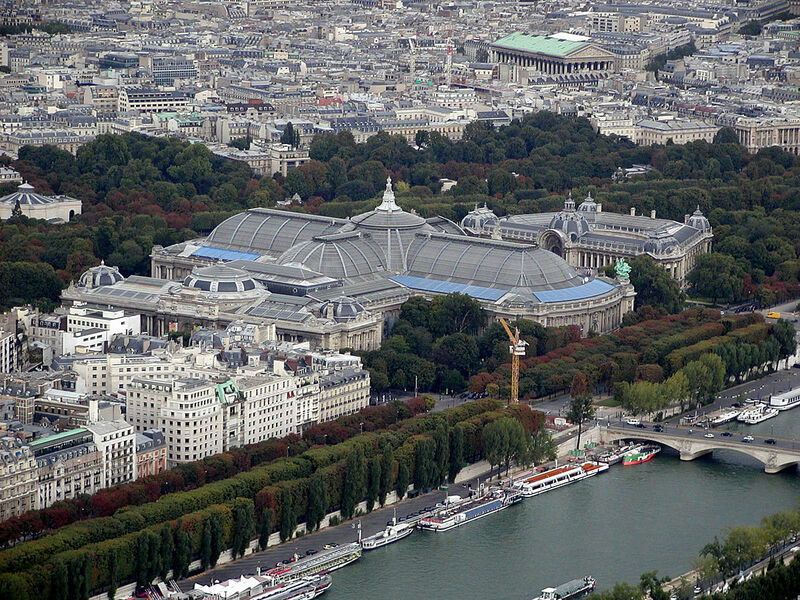 The Grand Palais is an exhibition hall and museum complex located at the Champs-Élysées. 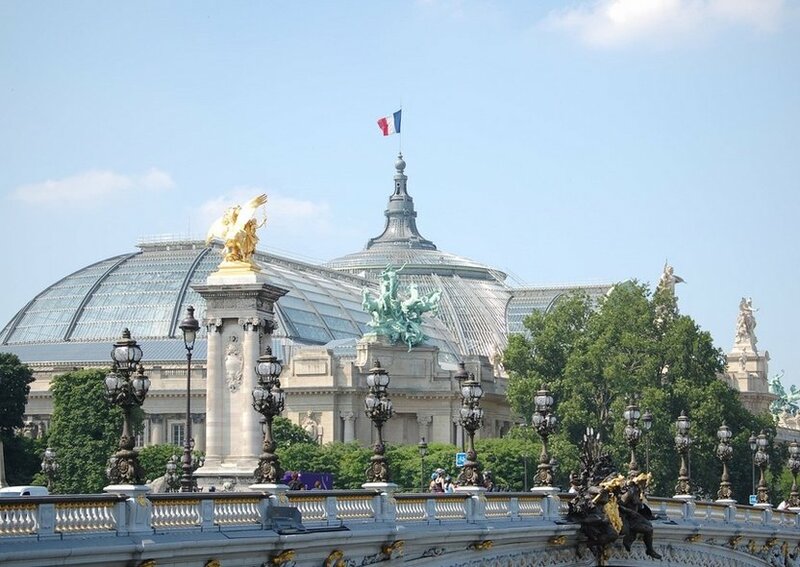 Construction of the Grand Palais began in 1897 following the demolition of the Palais de l'Industrie (Palace of Industry) as part of the preparation works for the Universal Exposition of 1900, which also included the creation of the adjacent Petit Palais and Pont Alexandre III. The structure was built in the style of Beaux-Arts architecture as taught by the École des Beaux-Arts of Paris. The building reflects the movement's taste for ornate decoration through its stone facades, the formality of its floor planning and the use of techniques that were innovative at the time, such as its glass vault, its structure made of iron and light steel framing, and its use of reinforced concrete. The main space, almost 240 metres long, was constructed with an iron, steel and glass barrel-vaulted roof, making it the last of the large transparent structures inspired by London’s Crystal Palace that were necessary for large gatherings of people before the age of electricity. The main space was originally connected to the other parts of the palace along an east-west axis by a grand staircase in a style combining Classical and Art Nouveau, but the interior layout has since been somewhat modified. The exterior of this massive palace combines an imposing Classical stone façade with a riot of Art Nouveau ironwork, and a number of allegorical statue groups including work by sculptors Paul Gasq, Camille Lefèvre, Alfred Boucher, Alphonse-Amédée Cordonnier and Raoul Verlet. The grand inauguration took place 1 May 1900, and from the very beginning the palace was the site of different kinds of shows in addition to the intended art exhibitions. The Palais served also as a military hospital during World War I, employing local artists that had not deployed to the front to decorate hospital rooms or to make moulds for prosthetic limbs. The Nazis put the Palais to use during the Occupation of France in World War II. First used as a truck depot, the Palais then housed two Nazi propaganda exhibitions. 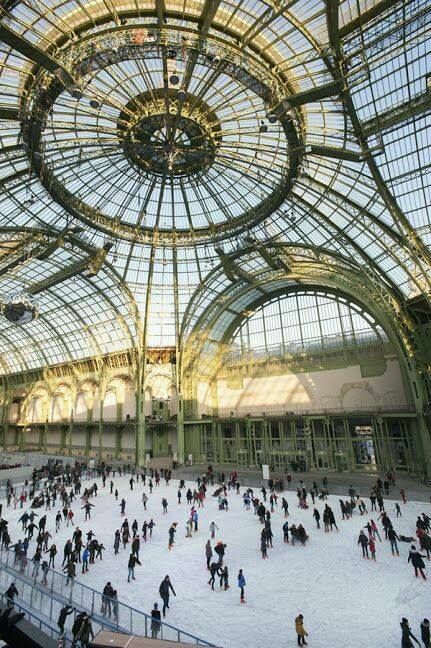 The Parisian resistance used the Grand Palais as a headquarters during the Liberation of Paris. On 23 August 1944 an advancing German column was fired upon from a window on the Avenue de Sèlves, and the Germans responded with a tank attack upon the Palais. The attack ignited hay that was set up for a circus show, and over the next 48 hours, thick black smoke from the fire caused serious damage to the building.